So, first of all, Dogon is supposedly a limited edition NARS duo from the Summer 2011 collection, but I still see it for sale everywhere, including the NARS website. 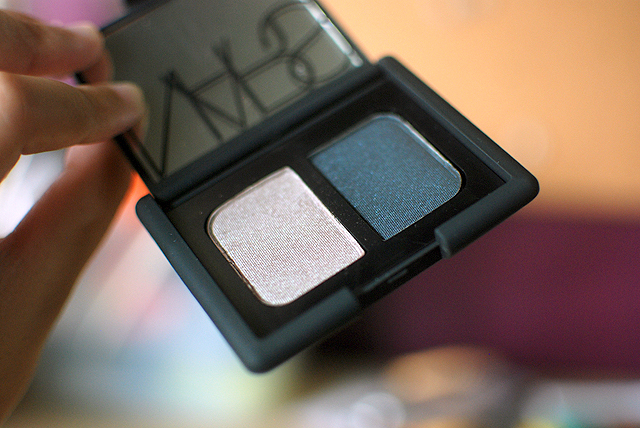 It has a metallic taupe shade with an icy green sheen, and a charcoal black shade. I rather like this duo; I think I’m a sucker for duochromes and different-sheeny shades. 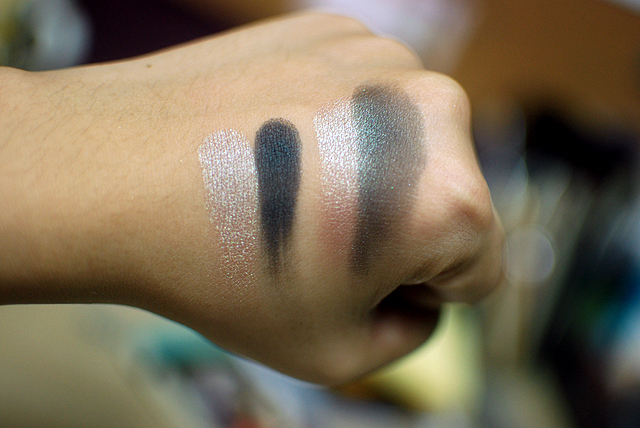 The quality is OK; the taupe is really, really pretty, but the charcoal matte may apply patchily on the lid without a base (cream shadow or primer), or if you try to blend it out too much. Still, layering the shades over each other creates a lovely effect. 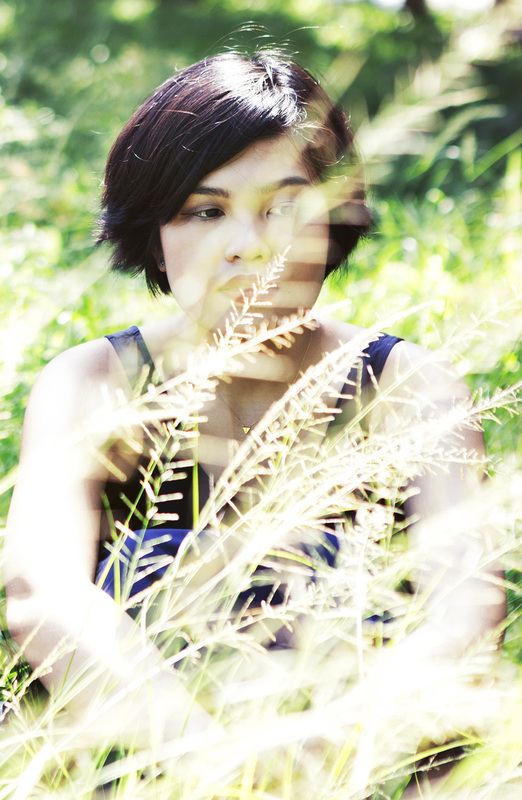 Look at that pretty shimmery, sheeny green in the Venn Diagram intersection of both shades. This is a really pretty duo that I think you can make a lot of looks out of, even though it doesn’t really seem like it, since the shades seem to be extremely different. 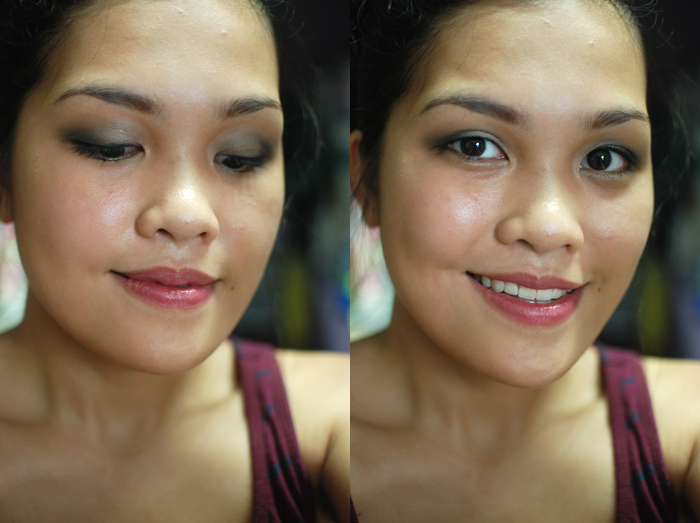 For today’s look, it’s just a pretty standard smokey eye! My eyebrows are kind of funny, huh? I packed on quite a bit, but my hooded Asian eyes kind of eat up all the color, making this a bit more wearable for the day, too. 🙂 If you want a more dramatic look, you can sort of extend the outer shape using the darker Dogon shade, making a sort of cloud up in that area. 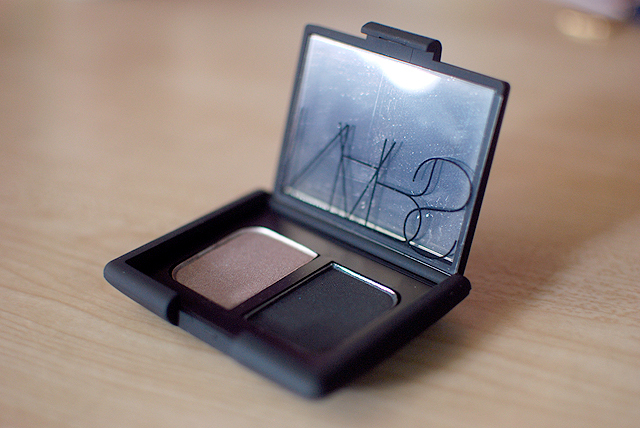 Also, what’s your favorite NARS eyeshadow Duo? Tell me! I have 4 so far, and I can’t pick which one my favorite is, but it might be a toss up between this and Grand Palais! I really want to get Charade, but I don’t know if it will show up much! I got Paramaribo and it’s very… meh. Haha. It’s nice and all but I’d rather get something better. 🙂 Kalahari is v. pretty!